Walking through the Taipei National Museum, I noticed this interesting rig with six GoPro cameras mounted on a monopole. Asked the owner about the project, he mimed 'I am taking 360° videos of the palace grounds'. Back at the hotel I searched for more information about this DIY project. 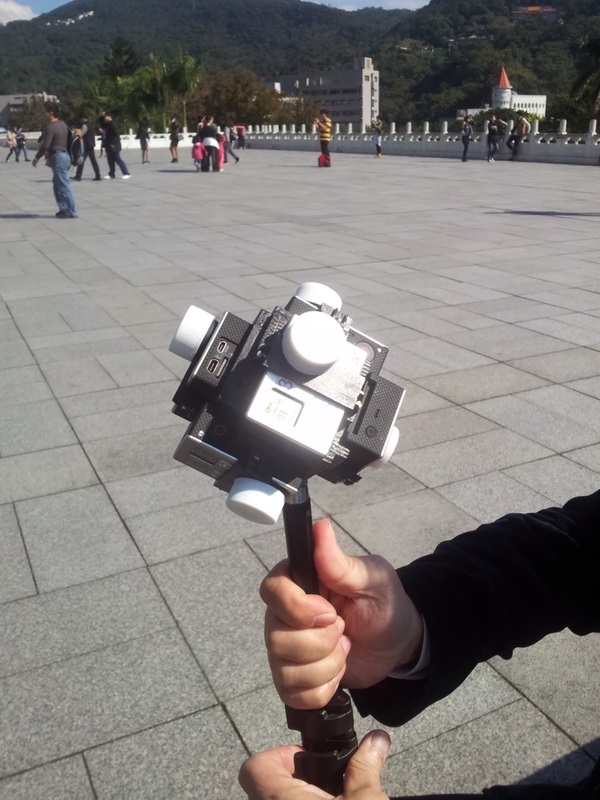 Perhaps it is similar DIY-Streetview.com camera system.